Update: Lenovo Z2 Plus has recently been released in India. Z2 Plus is also known as ZUK Z2 in other countries, and it has been renamed as Z2 Plus for India. You can download the stock wallpapers of Lenovo ZUK Z2 / Lenovo Z2 Plus from the link provided below. There are total eight wallpapers, which include four full HD images with four corresponding blur wallpapers. The file size of the wallpaper pack is 26.5MB. ZUK Z2 released a couple of weeks ago with high-end specifications and premium design. ZUK Z2 is the successor of ZUK Z1 with some nice upgrades. It features a full HD 5.0 inch IPS display. It runs on Android 6.0.1 Marshmallow with ZUI 2.0 UI over the top. It is a dual SIM phone with fingerprint sensors and USB Type-C port. The phone is available in Titanium Black and Ceramic White colour. ZUK Z2 has Qualcomm Snapdragon 820 SoC and Adreno 530 GPU coupled with 4GB RAM. It has 64GB of limited internal storage without any option for expansion. The device sports a 13MP primary camera with touch focus, face detection, HDR and LED Flash. At the front, it holds an 8MP secondary camera which can capture videos in full HD resolution. ZUK Z2 is backed with Li-Po 3500 mAh battery which is non-removable. It has support for Quick Charge 3.0 technology which can charge 83% battery in just 30 minutes. The other features include Wi-Fi 802.11 a/b/g/n/ac, Bluetooth 4.1, GPS, USB Type-C, fingerprint sensors, GPS and 3.5mm audio jack. 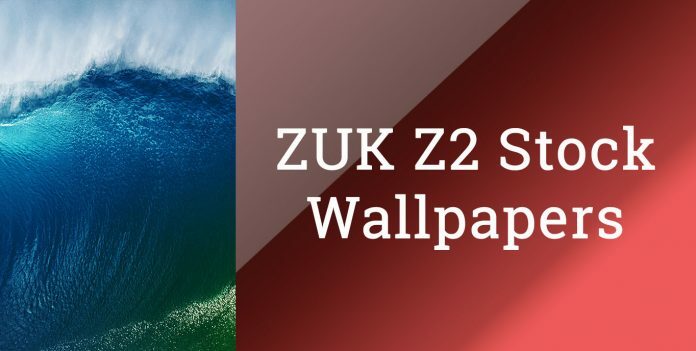 If you liked the wallpapers of ZUK Z2, then please do share this article and do not forget to visit our stock wallpaper category to download more such wallpapers for free.